Our Office Manager and fearless leader, Joan is truly the farm’s Wonder Woman. She manages both the farm office and Hayden Electric, sits on numerous boards and doesn’t bat an eye when the church needs her to step in to coach the choir. 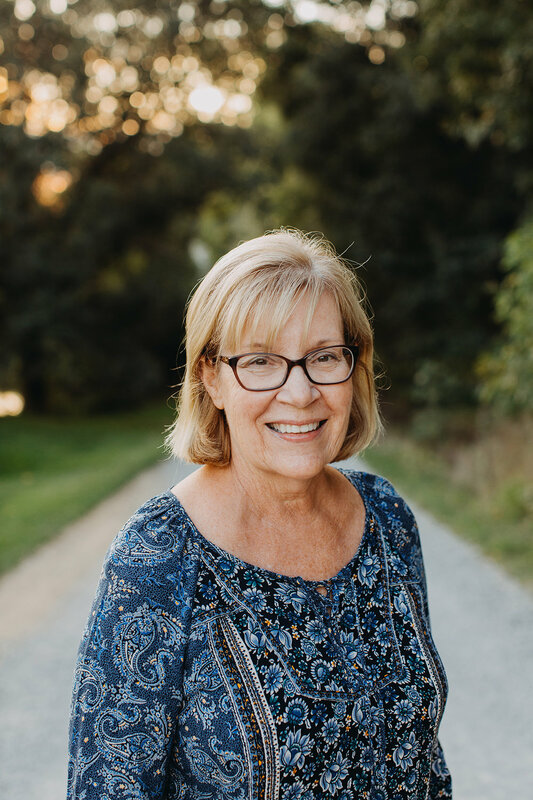 When not putting out fires and keeping things running smoothly in the office, Joan can be found in the early mornings doing the first chicken house checks of the day, or sitting on her back porch late afternoon, Kindle in hand. Her special talents include being the peacekeeper between the main men on the farm. 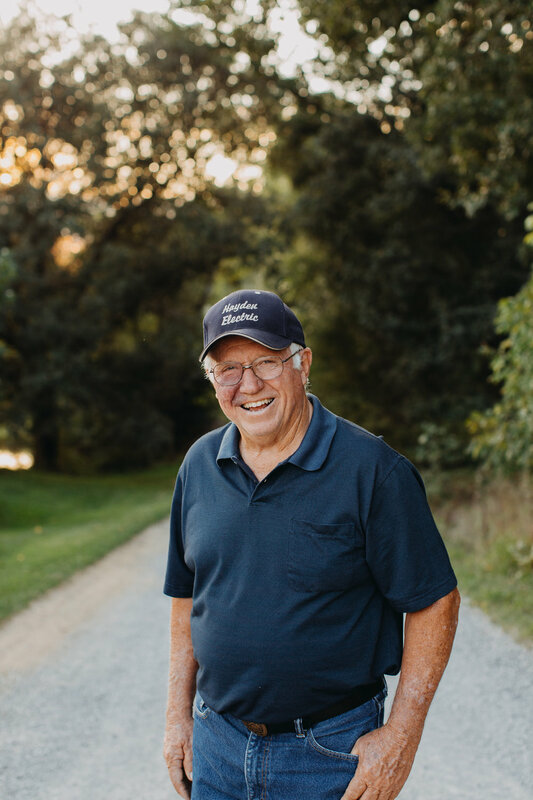 When most would’ve retired, the farm’s founder, Martin keeps working just as hard as the rest of the boys. Teaching us all the secret to youth is to never slow down. When not in a tractor, Martin can be found on the front porch swing hosting conversation with neighbors and old friends who stop by to chat. His special talents include never getting dirty. Give him a grease filled shop or a muddy working pen — everyone else will be covered from head-to-toe — he will emerge still polished and pressed. Farm Communications Specialist, Oklahoma transplant, occasional cow worker, unofficial gate opener. Says ranch instead of farm. Danielle joined the farm in 2014 after marrying Daniel, making sure she uses every part of that Oklahoma State Ag Comm degree, she keeps the new media side of this operation a float along with organizing farm tours and activities. She can usually be found, camera in hand, with two wannabe cowdogs in tow. Farm Manager. From cow herd health to making sure each flock of chickens performs well to mechanic and welder, Daniel’s day-to-day activities change depending on what needs to happen. Him, along with three hired hands make sure everything is happy and healthy and equipment runs as it should. You can watch Daniel’s day-to-day farm activities as well as learn more about raising cattle and poultry through his Beef Brag and Chickenology segments on Snapchat.